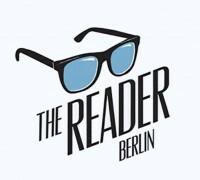 The 2019 Berlin Writing Prize is now open for submissions! Until the closing date of June 30, 2019, we invite entries on the theme “The Circus” from both published and unpublished writers resident anywhere in the world. Up for grabs is a one-month residency in a luxury apartment in one of the world’s most creative destinations for travellers, Berlin’s Circus Hotel. From January 4th to February 3rd 2020, the winning author will have a month to write, a free four-day pass to The British Council Germany’s Literary Seminar, and access to the famously inspiring Berliner Luft! Alongside a host of runner up prizes, a shortlist of ten writers will be published in an anthology by the independent Berlin press KLAK Verlag. Last time, our 2017 shortlist featured both unpublished writers and debut novelists, including two who went on to be longlisted for The Booker Prize in 2018. We’ve already had requests from literary agents to view our next longlist. All of which meaning that if you are an emerging writer, our competition is one you should seriously consider entering. Read on to find out more about the prizes, our panel of illustrious judges, partners, sponsors, the rules, submission guidelines and how to enter. Since then, self-publishing has become far more than a last-ditch alternative to traditional publishing — it’s a choice that many authors are making from the starting line. But while it’s not all that hard to put out an ebook these days, finding an audience takes a lot more than simply uploading your manuscript and clicking publish: it means going through the entire publishing process on your own, from editing to artwork to marketing, putting your book’s success entirely in your own hands. Constantly strives to discover, cultivate, and nurture authors working in all genres. Publishes Creative Nonfiction, Short-Story, Novel, and Comic/Visual Narrative manuscripts. (Comic/Visual Narrative manuscripts will not be considered without artwork.) Submit via online submission system. We are an independent publisher based in Salisbury, South West of England. We specialise in a wide range of quality fiction including Children's, YA and Adult novels. Our commitment to help our authors achieve success extends to both new and previously published authors. As an independent publisher, we strive to publish only the best quality works. We constantly seek new and original voices, providing exclusive attention to our authors with a bespoke marketing strategy for each piece of work. Our commitment is to give each publication its every chance for success. With our passion for high-quality books, our dedicated team and personalised approach, we believe that we will forge a long lasting relationship with our authors. Whether you are a first time author, or an existing author looking for a more personalised service, we would love to consider your work for publication. To see our information, guidelines and to submit your work to us, please visit the website. Publishes zines, ebooks, chapbooks, and other short form creative literature online and in print. Print chapbooks by solicitation only. Ebooks by solicitation or during an announced contest. See website for full details.